(Photo Courtesy/Michigan State Police) 19-year-old Nathan Seeley was arrested for destroying his grandparent's home early Sunday morning. 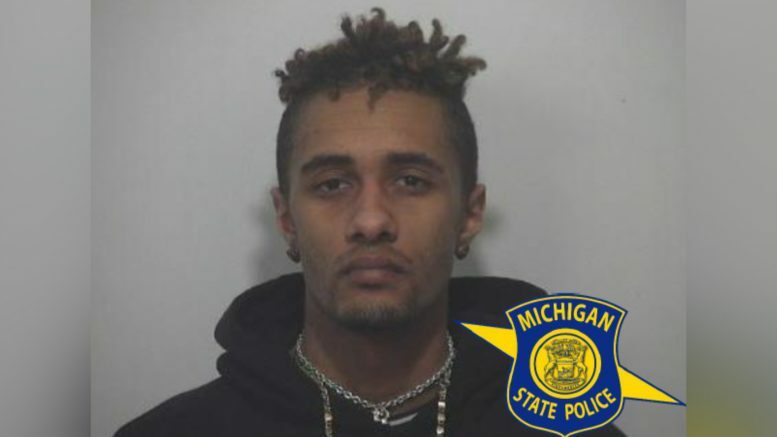 Ossineke Township, Mich. — A 19–year–old Ossineke man has been arrested after damaging property in his grandparent’s home for the second time. Troopers were dispatched for the second time this year to a home in Ossineke, regarding reports of the same suspect destroying property. Based on evidence from the scene, they arrested Nathan Seeley. The 19–year–old had done over $4,000 dollars worth of damage to his grandparent’s home. The grandparents had been staying next door to their home due to their grandson. Seeley had been threatening them. They reported hearing a loud bang, then receiving a call from the 19-year-old. Seeley said that he had nothing left to break in the house and asked if there was anything to eat. Seeley’s grandparents called the police after the phone call. Seeley was charged with one count of malicious destruction of a building and one count of malicious destruction of personal property ($10,000-$20,000). He was arraigned yesterday in the 88th district court.